Unlike most artists whose families quietly throw all their work in a dumpster after they die, Louis B. Sloan’s family is fighting over his paintings. The Philadelphia Daily News reports that Sloan had been dead only a few hours when relatives began pilfering his paintings from his Olney home. 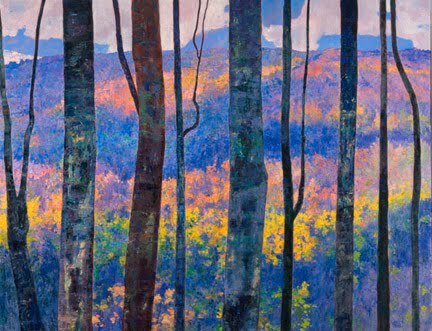 “The painter had told his artist friends that he wanted his major works to go to the Pennsylvania Academy of Fine Arts. But nieces and nephews and others instead created a chaotic scene in Sloan’s bedroom, witnesses told the Daily News, as they grabbed art work and his belongings. “‘The paintings were thrown all over the bed and floor,’ said niece Lakia ‘KiKi’ Smith, who was taught art by her uncle. They were rubbing against each other, rubbing the paint off.’ Some of the plunderers ‘were throwing everything in trash bags,’ added niece Madeline Sloan Haines. They grabbed art and other memorabilia from every room, even the bathroom and basement studio of the two-story stone rowhouse on D Street near Ashdale that Louis Sloan and his sister, Barbara Sloan, bought in 1994. Jim Sloan, 63, a brother of the artist, said that he tried to stop the art grab, telling the others, ‘Let’s just bury our brother before dividing his work. '” Read more. I believe it is horrible for a family to be so greedy and selfish after a death. Louis Sloan's work is beautiful and captivating, but the family should have mourned him and not argued over possessions. My name is Airi Y. Sloan and I do happen to be his niece. I was 9. I loved my uncle from the bottom of my heart and to see the family arguing over the worth of his paintings crushed me. All they understand is greed and want. As a 9 year old, all I wanted to do was mourn the uncle who was kind of like a second father. what a disaster! how greed can ruin a family and deny a fine man his legacy. Next Next post: Who is Charline von Heyl?